Is your home guest bathroom right across the front door and you want to hide it? You can install a small drywall in front of the bathroom's door and hang a nice picture. Do you want to use some space in the basement for gym or office? Sheetrock installation will be your solution. Do you want to create a music room and you worry about acoustic insulation problems? A drywall will be your savior once more. They are practical and can be used for deco reasons or to make a house (or any property for that matter) more functional. You can use a drywall to hide stairs, separate the kitchen or install a fireplace. You can have drywall shelves, use them as partitions within the house or to enlarge the living room by taking some space from the balcony, or just as walls in between two different utility rooms without having them reaching the ceiling. The texture coating of walls can resemble concrete for a more minimal look and it will look extremely nice with wood floors. You can give a theatrical effect by lowering down the ceiling and this would also be helpful if you cannot heat or cool down the room due to its great height. In fact, you can do a lot of tricks with your ceiling. You can have two or more layers in different heights so that you can have hidden lighting. You can have the same textured paint or use different shades. You can even have the ceiling coming down and going up in the form of waves. 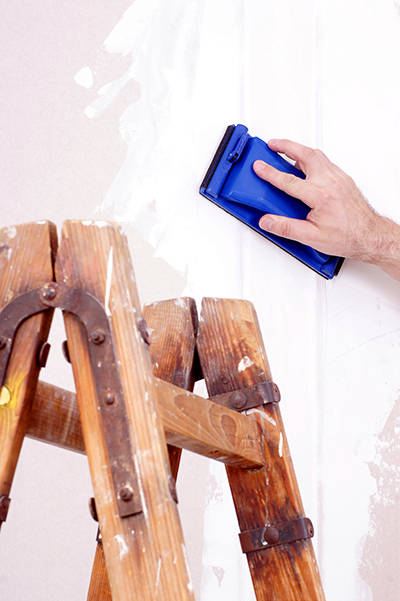 There are excellent solutions and that's why drywalls can be your best decorative friend.